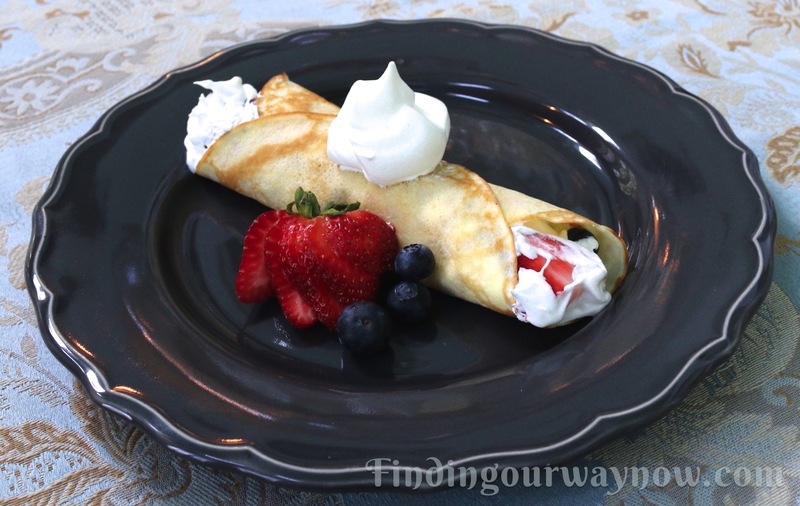 When there are special occasions or dinner guests that you’re looking to impress, nothing beats homemade crepes with a filling of your choice. The filling you use can be as simple as a spread of Nutella, maybe whipped cream with strawberries or as elegant as Crepes Benedict for breakfast. They can function as a dessert, luncheon, breakfast or just a snack. The opportunities to use these simple super thin pancakes are endless. These homemade crepes can be made way ahead of time and whipped out from the refrigerator or freezer at a moment’s notice for any occasion. Sift flour and salt together in a large bowl. In a medium bowl whisk the milk, eggs, butter and water until combined. Add the egg mixture to the flour, a cup at a time, whisking constantly. Scrape down the sides to ensure all the flour is incorporated. Whisk until all the flour is added, and the mixture is smooth and some bubbles have formed on the surface. Strain the batter into a bowl or pitcher to remove any lumps. Let the strained batter stand at room temperature for a minimum of 30 minutes. Heat your pan or crepe maker to medium-high heat (350° to 375°F). Coat the surface with butter (only once). Pour a ¼ cup of batter onto the surface of the pan or crepe-maker and tilt, roll or move the batter around with a spreader until it’s about an 8-inch diameter. Let cook for around 2 minutes or until the edges start to lift up a bit and then flip and let cook on the other side for about 1 minute or half the time. Slide onto a sheet of wax paper and place on a platter to cool. Repeat the process, stacking the crepes as you go with wax paper between each crepe until no more batter remains. 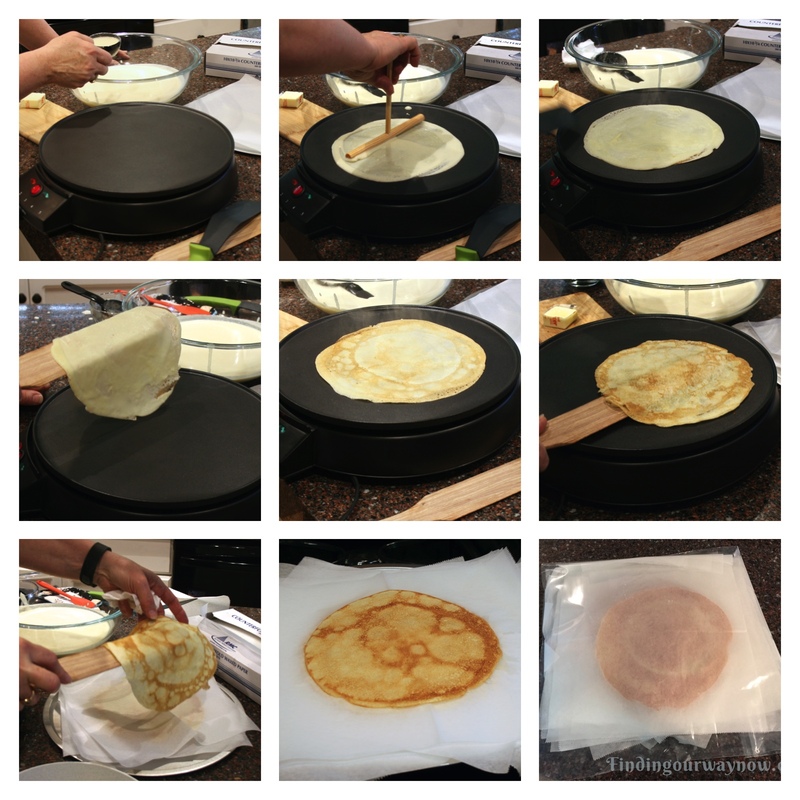 After the crepes have cooled, place the stack of crepes in a Ziploc plastic bag and store in the refrigerator for up to 5 days. Or you can freeze them for up to two months. When using frozen crepes, always allow them to come to room temperature on a rack then gently peel them apart. Savory – Add a ¼ cup of chopped fresh herbs, thyme, rosemary, basil, spinach or even sun-dried tomatoes to the egg mixture. 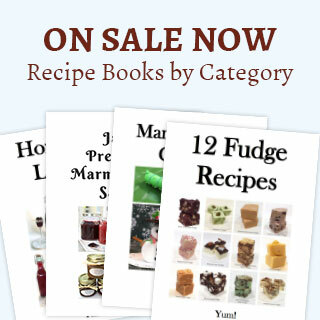 Sweet – Add 2 to 3 tablespoons sugar, 1 to 2 teaspoons vanilla extract, 1 to 2 tablespoons of orange or lemon zest or 1 tablespoon of your favorite fruit flavored liqueur to the egg mixture. Notes: The batter should be the consistency of cream. The best way to test this is to see how it coats the back of a spoon. If it’s too thick, add a touch of water at a time until it reaches the desired consistency. The batter can be prepared the day before and kept in the refrigerator overnight. This could make the batter a bit thick; just add a bit of water to thin it to the right consistency. You can use a 10-inch nonstick skillet or crepe pan just as easily. I tried both. They were easy to use and worked just fine. You just pour the batter in the pan gently roll the batter around the bottom of the pan and set it on the heat, continuing with the same process from this point. If the pan or crepe-maker is too hot, the crepes will cook way faster than necessary making your ability to form them difficult. Err on the side of less heat. Remember they aren’t pancakes. 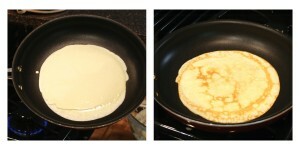 Look for tiny bubbles that form and pop open as another indication it’s time to flip the crepes over to finish cooking. 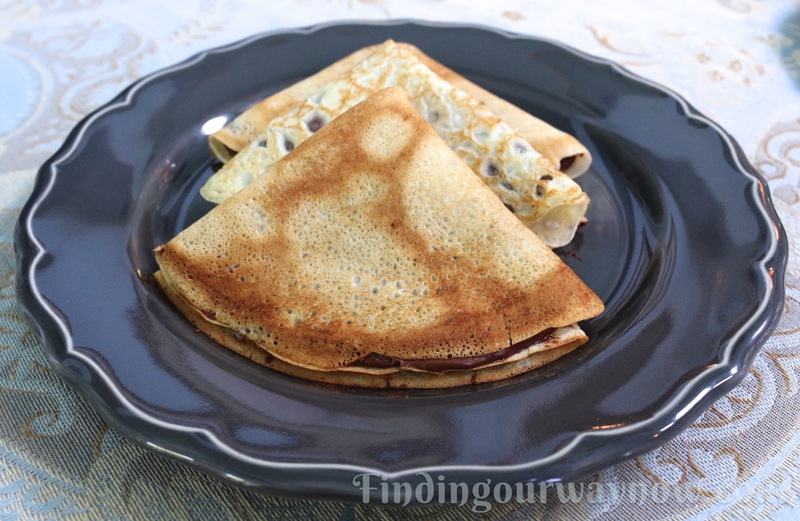 There are thousand ways to flavor these crepes. I usually just make them plain, allowing the filling or sauce to do the talking. Making these homemade crepes brought back many memories of years past when I was first learning to cook. I will never forget my first try at these thin pancake-like delights. They came out looking and tasting more like pancakes… LOL. 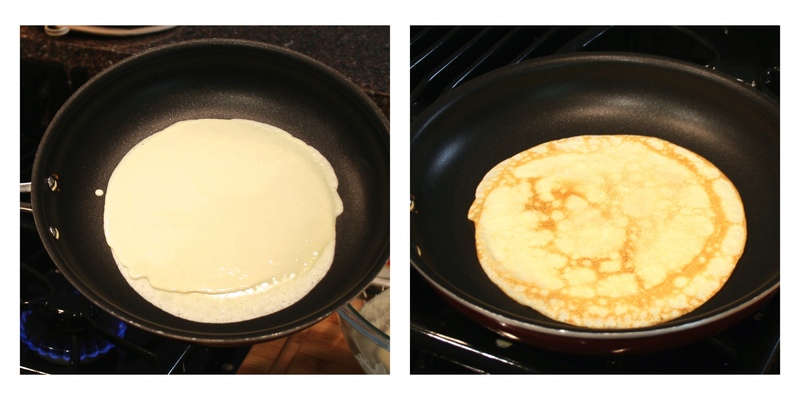 With a bit of practice, I finally figured out that the crepe batter needed to be as thin as cream. I was so happy with myself I made a ton of them. When I served them at a luncheon with friends, they were so impressed. 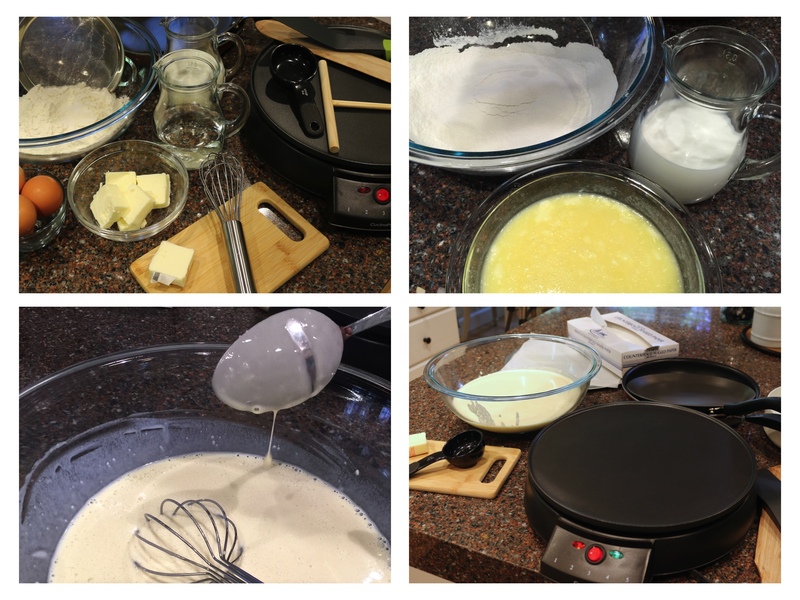 If you enjoyed my “Homemade Crepes,” check out my Homemade Buttermilk Pancakes, Homemade Belgian Waffles, Nutella Panini. Enjoy.